Play time is more than just fun for children. 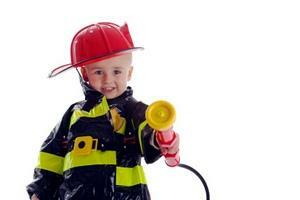 Filling pretend roles helps kids learn about the world around them and explore different career options and life paths. When a child "plays house," she is also learning how to nurture a baby doll and picking up basic tasks such as cleaning a house. There are many benefits to pretending and there are lots of unique ideas for toys that can aid pretend play. These are just a few of the recommendations and suggestions you'll find in this category. Little Tikes Playhouse: A playhouse can spark the imagination of a child and give her a place all her own to create a pretend world. Discover the different Little Tikes playhouses, such as the Cambridge Cottage or the Log Cabin. Get details on what comes with each design so you can decide which house best fits your child's personality. Toy Kitchen Centers: Get tips for choosing the best play center for easy clean up and hours of fun for your child. Whether you outfit the kitchen complete with cookware and plastic food or you start with a basic set, use these tips to find the perfect center for your child. Little Tikes Garden Toys: Little ones love to help out in the garden, and getting them their own set of garden toys helps keep little hands both busy and safe. Learn about the pros and cons of several gardening tools available from Little Tikes, such as the watering can, garden bubble leaf and lawn blower, and the garden tool set. Toy Doctor Kit: Your child may not like going to see the doctor, but pretending to be one so she can take care of her toys and stuffed animals is much more fun. Get the run-down on what comes with specific sets and find out what to look for in a quality play doctor kit. Spy Gear for Kids: Do you have a future 007 in the house? This slideshow goes through some of the items needed to play spy, including secret marker pens, a night scope, a voice scrambler, and rear view sunglasses. There are hundreds of toys available for children to engage them in pretend play. Knowing which one to buy can seem like an insurmountable task. Use the information here to find the perfect toy to suit your child's interests and personality, and she'll get hours of quality play time with her favorite new toys.